As the 12th Man/Woman/Child, I’m having my say as a Hereford FC supporter. I admit I’m not politically correct on a game day, much to my own embarrassment. It’s only later in the bar or even at home when I recall, with a red face, the “terms” I had used earlier. I will berate the referee for making wrong decisions. Neither do I overlook the two assistants running the line with their arms stuck by their side when we blatantly want a decision in our favour. It’s just terrace talk, heat-of-the-moment stuff. I acknowledge that without the officials, we would probably be watching football in a public park, with jumpers for goalposts and a dodgy keeper moving the posts in when no one was looking. Or a match where the biggest bloke is always right. In the aftermath of Beads and Jenks departing, I observed so much emotion and so many rants. I suspect Facebook was somehow converting passion during the 90 minutes into additional inflamed posts. I think to get the real feeling of Hereford fans, old and new, you first need to go into the Meadow End and listen to 4 or 5 different songs, sung at the same time from left, right and centre, all of this while gazing upon what sometimes is called the “posh” Len Weston Stand. I must acknowledge the fans in there, as they normally always take the time to salute our players first at the end of each game. When looking left towards the Main Stand we see lots of families of all ages dressed in their fine multitude of coloured shirts, and a generational level of support. This, in itself, was a treat to see according to a Blyth supporter I met in Addisons Bar after the game on the opening day of the season. He described it like this, “Hereford fans are like a box of liquorice allsorts. It’s fantastic to see a wealth of Hereford supporters both old and new. Those who remember the past, and those looking to the future.” Imagine this said in a strong North-East accent by a Blyth supporter who wore a funny hat. Whilst I am talking about the fans, we have some of the best facilities for disabled supporters in the country with good wheelchair access and seating in A Block and D Block, and as a club we also have so many unpaid volunteers in all positions. We should forever respect them for keeping our club going. And onto the playing side. First of all, remember the players play because it is the best league they can play in, or because it’s nearer to their home or work. Being a semi pro means it’s not about the money believe it or not. 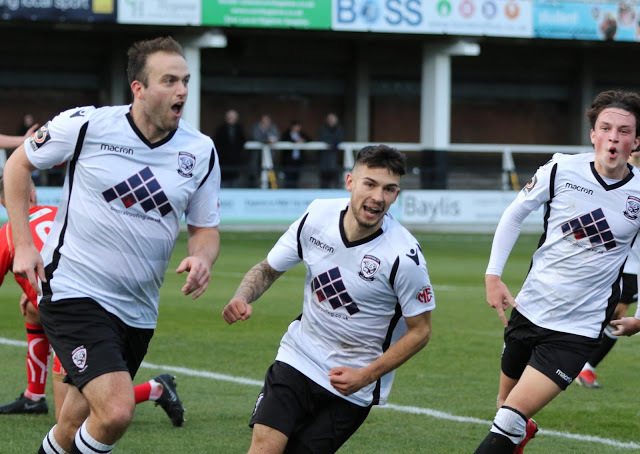 Many players realise it’s a great opportunity to play for Hereford because of its great tradition and support. I also believe every player that pulls on a Bulls shirt does so with the best of intentions, and gives as much as they can whilst on the field. It is our total responsibility as fans to support them, with as much enthusiasm as possible. When any player is lacking confidence for any reason, it is up to us to keep them going by encouraging them as much as we can. In my own humble opinion, we have been very fortunate to have a club back at Edgar Street. We have had 3 terrific years with promotions, fantastic runs in cup competitions, and being league champions. We’ve even managed to live the ‘Wembley dream’. However, we cannot go back to the future. It is up to the supporters to show true mettle and loyalty by backing our new management team. Hereford as a city is full of newcomers from all over the country, including fans from virtually every county in the UK. We must get behind the team if we are to climb up the table in 2019.